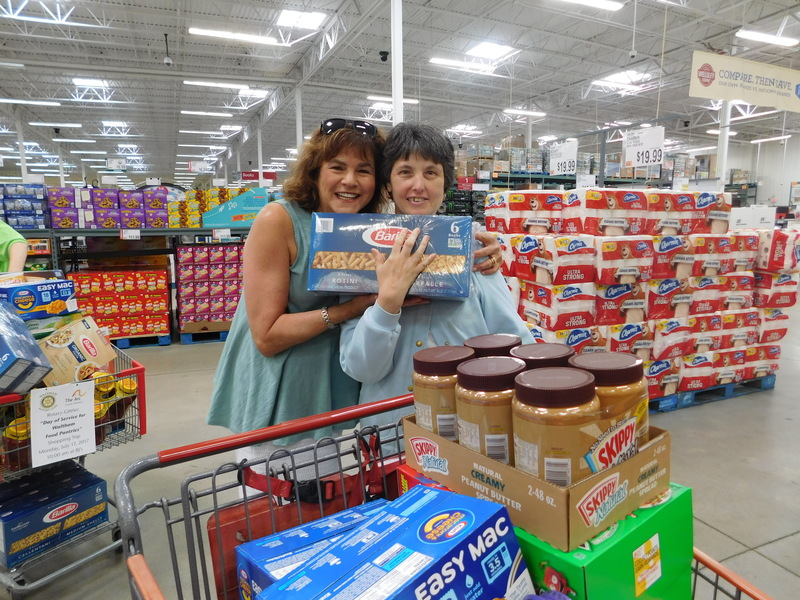 Three GWArc participants and several staff members had a successful day of shopping for Waltham food pantries on Monday! 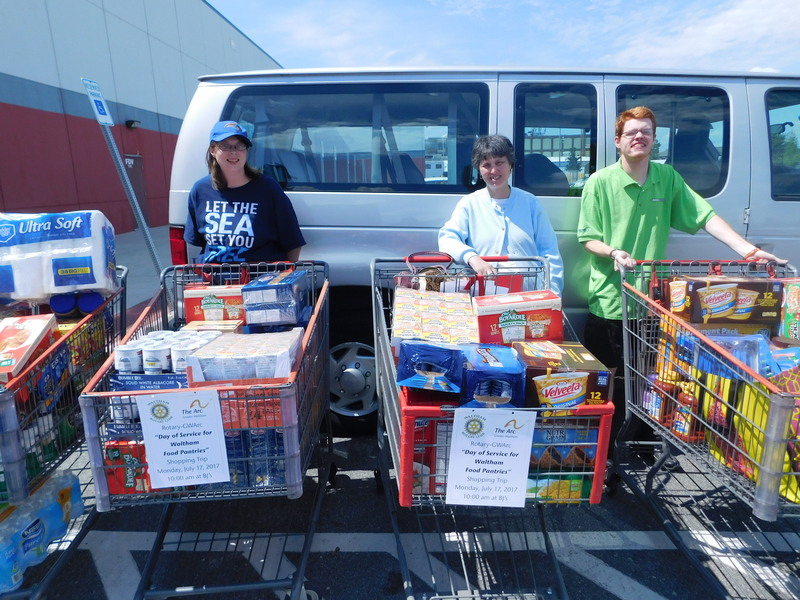 Using funds donated by members of the Waltham Rotary Club, participants collected food and other supplies for the Bristol Lodge Soup Kitchen, Sacred Heart Church Food Pantry, Salvation Army, and Waltham Community Day Center. Their purchases from Monday are in addition to supplies that have already been donated to Diaper Depot in Waltham. 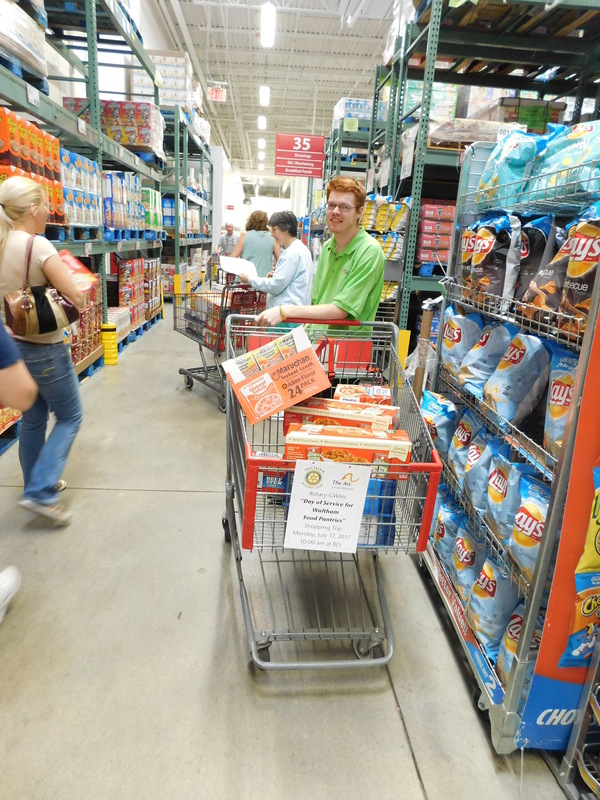 Greater Waltham Arc consistently collaborates with the Waltham Rotary Club to support local food pantries. 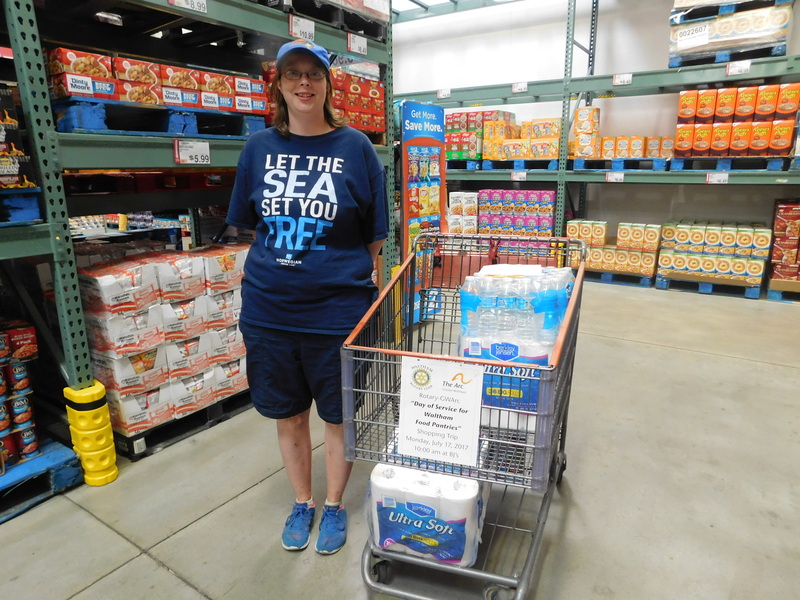 With Rotary members donating funds at weekly meetings, and GWArc participants shopping for and delivering much needed provisions, this collaboration helps to support community members in need while offering an opportunity for participants to engage in important community service.